The holidays are behind us. Soon it’ll be the new year. It’s time to shift your focus from doing things for others to doing things for you. It’s time to refocus on y-o-u. 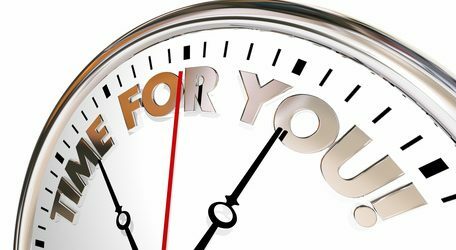 Before the new year begins, block off time to think about your life. Reminisce on the high points of the year. Identify events, people, and things that brought you joy. Use the 5 P’s of Life to probe into what you’d like to tackle for the upcoming year. 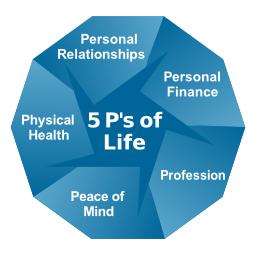 The 5 P’s of Life include personal relationships, personal finance, profession, peace of mind, and physical health. For each category identify what you want to keep the same and what you’d like to do differently. For the items, you’d like to change, develop a solution. Here are some examples to spark your thoughts. Also, look through our blog for more ideas. Do you want to strengthen your relationship with certain family members or friends? If yes, list activities you’d like to do with that person(s) to strengthen the relationship. If you were to lose your job, would you be able to cover your expenses until you found a new job? If no, create a plan to save for an emergency reserve. Do you feel stuck in a dead end job? If yes, identify professional organizations you can join in order to expand your network and industry knowledge. Does stress impede your motivation? If yes, explore ways to manage your stress. Are your clothes becoming uncomfortably snug? If yes, develop a plan to live a healthy lifestyle with more activity and less unprocessed foods. In today’s world, we seem to be going nonstop all the time, especially during the end of the year. Each month there’s a holiday — Halloween, Thanksgiving, Hanukkah, Christmas, and New Year’s Eve. Scheduling time to reflect on life by using the 5 P’s of Life will help you refocus on yourself … and make 2019 your best year ever.